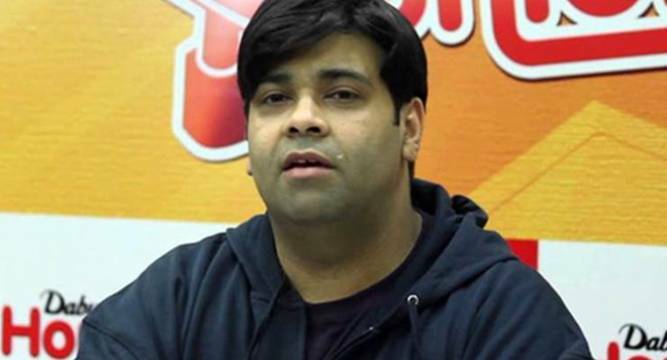 He is known for his great comic timing, but TV personality Kiku Sharda says he takes no pressure of doing comedy as over the years, he has understood that people like his brand of humour. Kiku, best known for his stint as Palak on “Comedy Nights with Kapil”, says he is a happy-go-lucky man who does not fuss over a joke which didn’t work. “I can’t take so much of burden on my head, I am a happy-go-lucky guy, I don’t take pressure. If it works, good, if it doesn’t, then move on, I will try something else. This is my style of humour and with time, I’ve understood that people like it and it is working,” Kiku told PTI. Kiku played the character of Constable Mulayam Singh Gulgule on the show “FIR”, and went on to work on horror comedy show “Bhootwala Serial”. The comedian, however, is never apprehensive about whether a show of his will work or not, and focuses on the pleasure of doing comedy. “As an actor, I am never scared of taking on a new project. The apprehension whether people will like it or not also doesn’t bother me much. I’ve always done my work with a gut feeling that this is what I would like to do and I’ve always enjoyed doing it,” he said. “I’ve done videos on YouTube for friends for free... If people are paying me, I’ll do it, if not, I’ll continue doing comedy through videos for the fun of it,” he said. Kiku will be next seen on the third season of Big Magic’s “Naya Akbar Birbal”. The actor, who plays the role of Akbar in the historical-comedy, said after “Comedy Nights with Kapil” got over, he was looking out for shows when this project came his way. The actor says he wants to increase the viewership of the new season as people have given him positive feedback, including his friend and comedian Kapil Sharma. “Naya Akbar Birbal”, which also stars Vishal Kotian, Delnaaz Irani, is scheduled to go on air tomorrow on Big Magic.